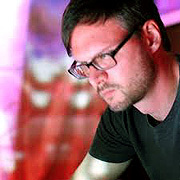 Stephen Hummel has become known for his work under the name SubtractiveLAD. 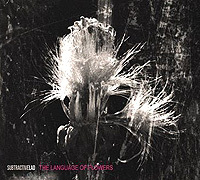 His album The Language of Flowers (52'58") offers four tracks of disparate sounds to represent disparate thoughts. New Age and Ambient Music followers will revel in the sensual immediacy of listening to this music. His tones are pure and well suited to moments of tenderness, though there is no lack of dramatic bite. While the opening track builds to an intense climax, Hummel never loses control over the piece - its momentary pleasure combined with an understanding of its greater architecture. The neuron-melting center two works combine inviting guitar loops and e-bow melodies entwined with celestial synth notes and atmospheres. Here listeners will begin to notice subtle shifts in tone color and amplitude, and as we allow our minds to relax it may become alive with imagery. The closing piece lulls us into a floating zone of plucked riffs and ethereal vibrations. Eventually its compositional arc bends gradually towards the experimental, where Hummel concludes The Language of Flowers in a distortion laden passage of contrasting timbre. Most mainstream music critics can at least appreciate the craft and precision of Spacemusic, but few see into the human side of it. Musicians do not have to become another person to make this art. Making this music may be the only time when they can truly be themselves.